Origin of name  Zante is an alternate name for the Greek island Zakynthos in the Ionian Sea (3, XII: 48). In greek the word means "wooded" (1, p. 3). 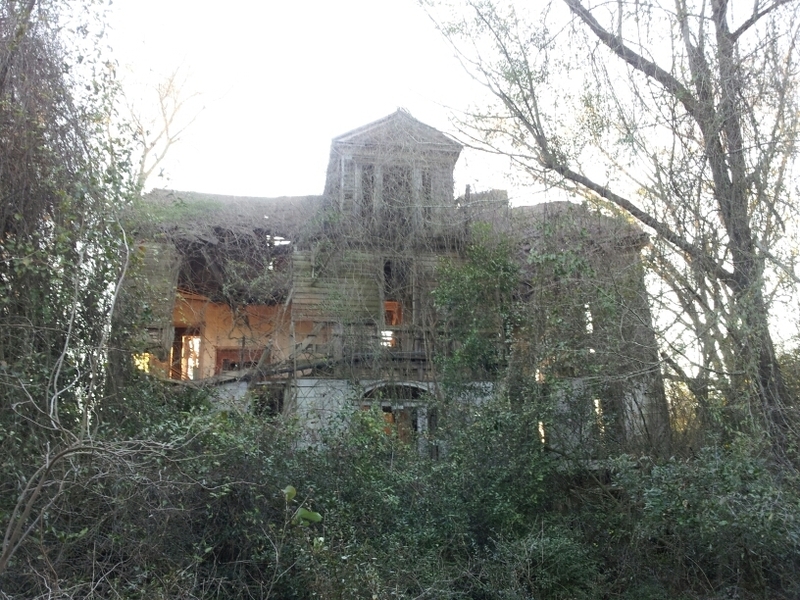 Current status  As of 2013, the house had been vacant for some time and left to deteriorate (5). Peter Manigault purchased the property (1, p. 3) (4, p. 155). 1773  Peter Manigault died leaving this plantation and his other holdings to his sons Joseph and Gabriel Manigault (1, p. 3). 1778  The brothers divided the entire estate and Joseph became sole owner of the Calhoun County property (1, p. 3). (1) 1791-1792  Charlotte Ann Thomson, of nearby Belleville Plantation, married Major William Elnathan Haskell. Charlotte's father, William Thomson, acquired the plantation and gave it to the newlyweds as a wedding gift. The Haskells were the first owners to call the property Zante. (3, XII: 48). Haskell served in the American Revolution under General Washington. His portrait hangs in the Capital dome in Washington, DC. He was nearly 15 years Charlotte's senior. They married on May 12 of either 1791 or 1792. He is buried at Belleville Plantation with members of his wife's family (6). (2) 1809  Joseph Manigault sold the property to Major William Elnathan Haskell directly. (4, p. 155). The Haskells were the first owners to call the property Zante, meaning wooded (3, XII: 48). Haskell had a small house moved several miles inland, away from the river, and then enlarged it. The house is two-and-one-half stories of frame construction with a seven- foot stuccoed brick foundation (1, p. 3) (3, XII: 48) (4, p. 155). 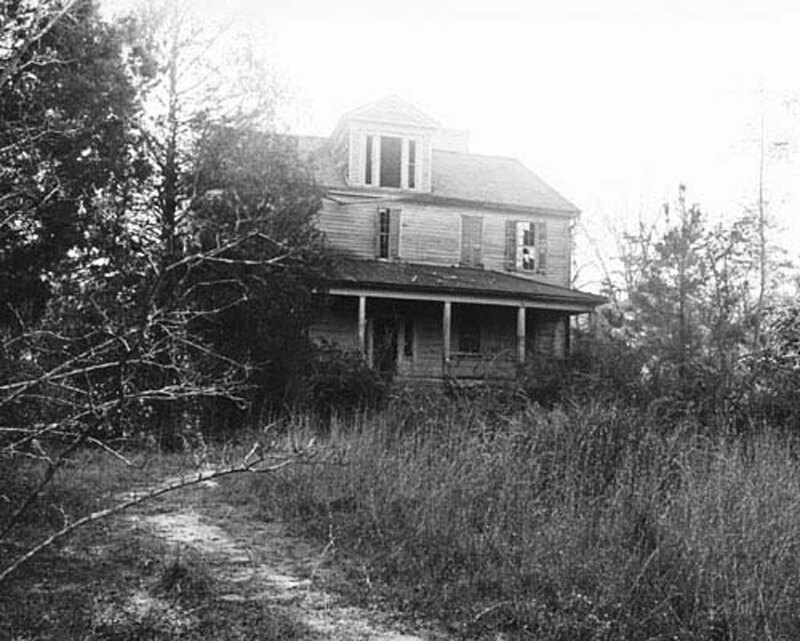 1851  The plantation was acquired by the Trezevant family and remained in its ownership until 1975 (1, p. 3) (4, p. 155). 1965  Rosa Trezevant Hane lived at Zante Plantation (3, XII: 48). 1976  J. D. Wiles was owner of record (1, p. 1). 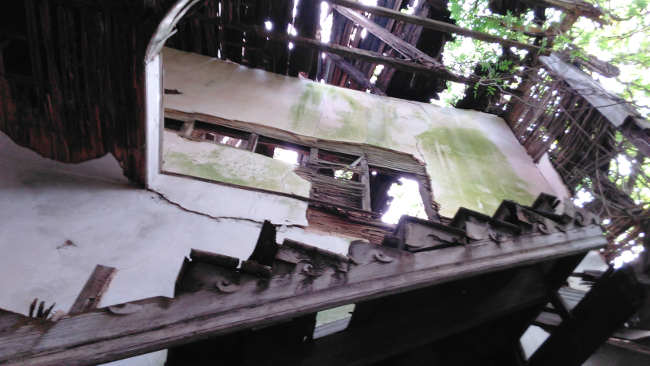 2013  A visitor to the site found a dilapidated house, pictured above (5). 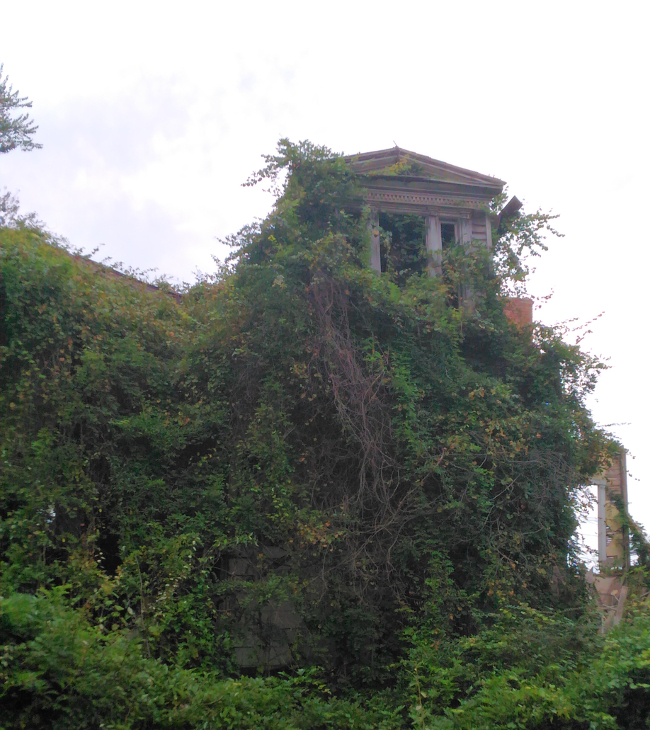 The house remains but has been damaged by both vandals and natural elements (1, p. 2). In 2016, the original outbuildings were still standing and an good condition (7). Information submitted by Jeffery Davis, who visited the plantation with the permission of the current owners and worked on deconstruction of the house in 2016. 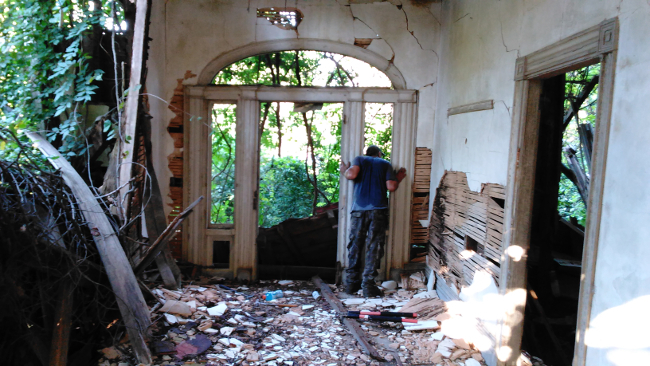 Contact Jeffery at 803-315-9334 if you are interested on information regarding the Zante house's salvaged materials.